Reposting this as WordPress seems to have lost my original post and I am looking for the recipe! 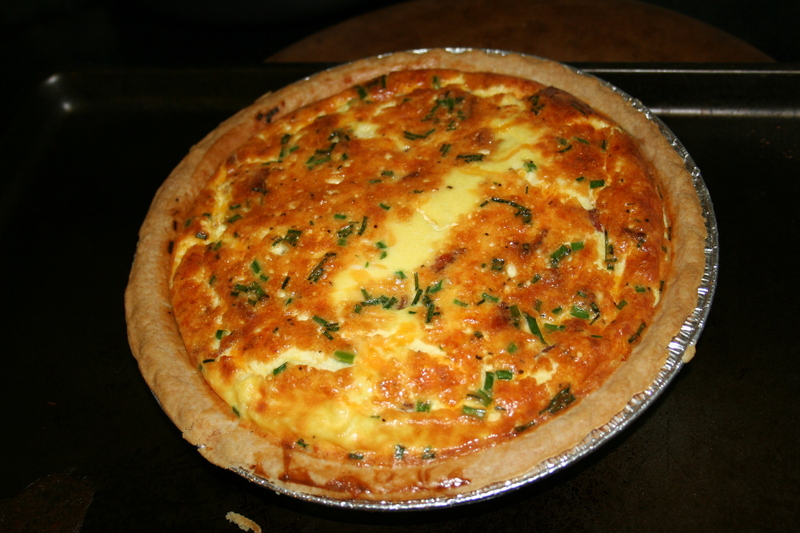 Watching an episode of Madeline made us decide on quiche for supper. Probably not the one they had at Le Hotel Riche, but I had all of the ingredients in the fridge so we just made this one up. The chives were added because we had alot growing in the garden and Evie has been desperate to go cut some and carry them in her basket, so we added chives! I didn’t have time to make the pastry so I just used a frozen store bought one. 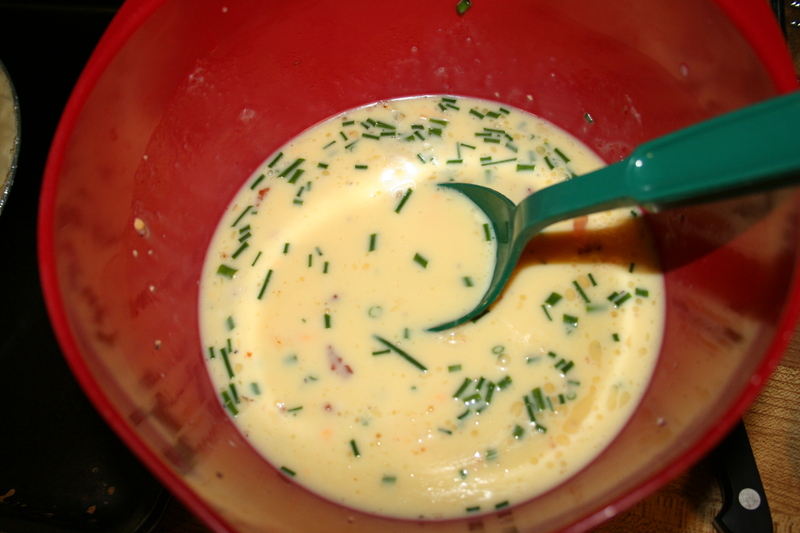 whisk eggs with milk and add other ingredients, stir to combine. 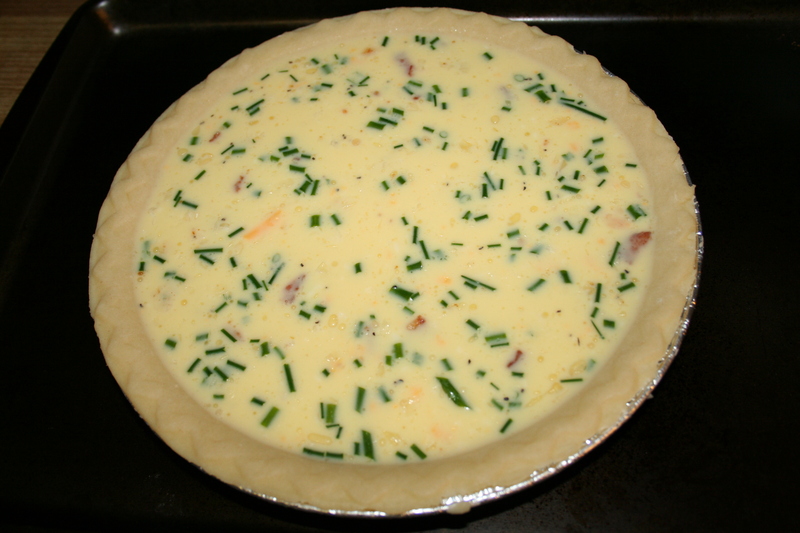 Pour into pie shell and bake for about 40 minutes until done. 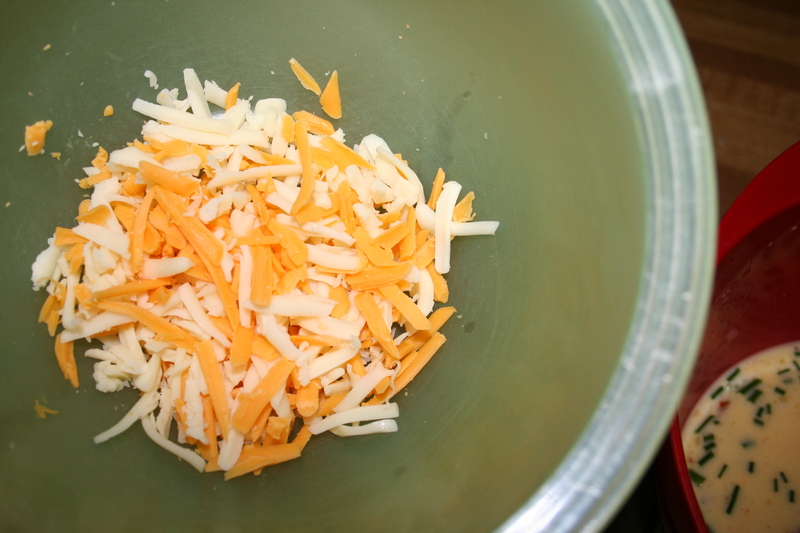 It turned out really well, very tasty. I was unsure if Evie would eat it or not but she devoured it, and asked that we make it again soon. I guess this recipe will go into the recipe book. 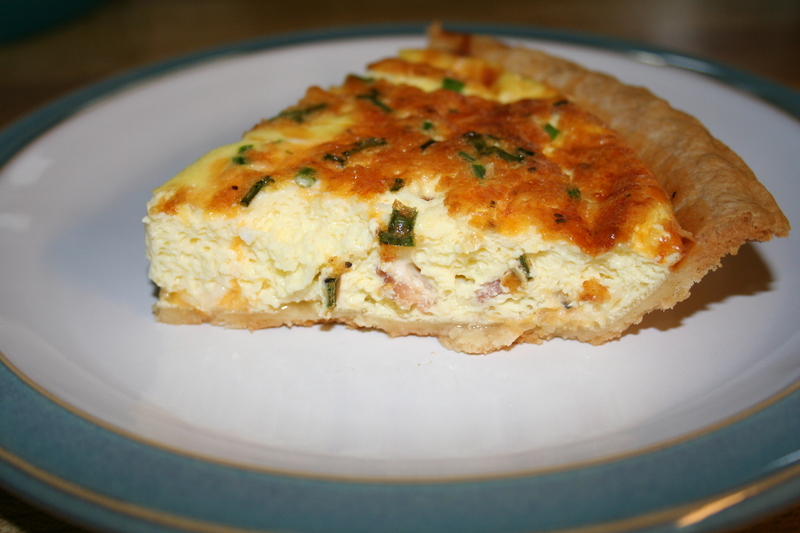 This entry was posted in cooking, frugal and tagged bacon, cheddar, cheese, chives, eggs, milk, mozzarella, Quiche.